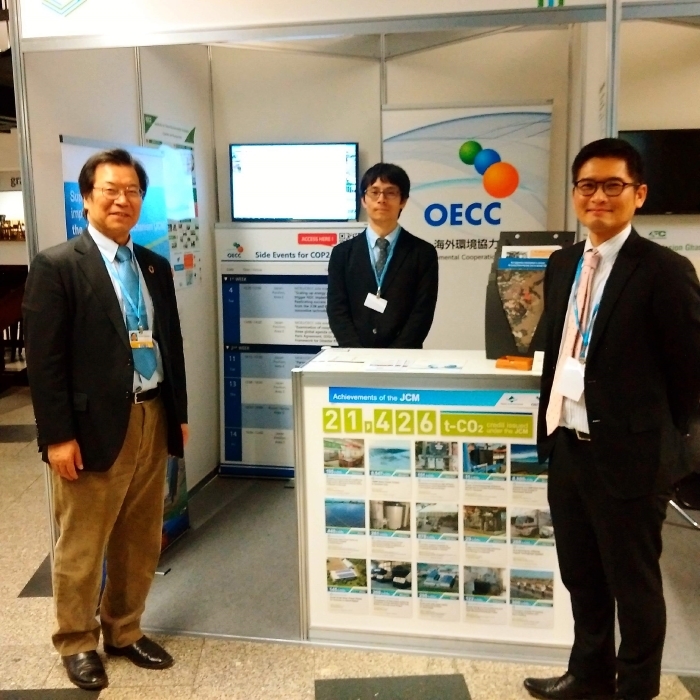 The OECC displayed the recent information materials related to the JCM at the UNFCCC COP24 exhibition booth in Katowice, Poland. 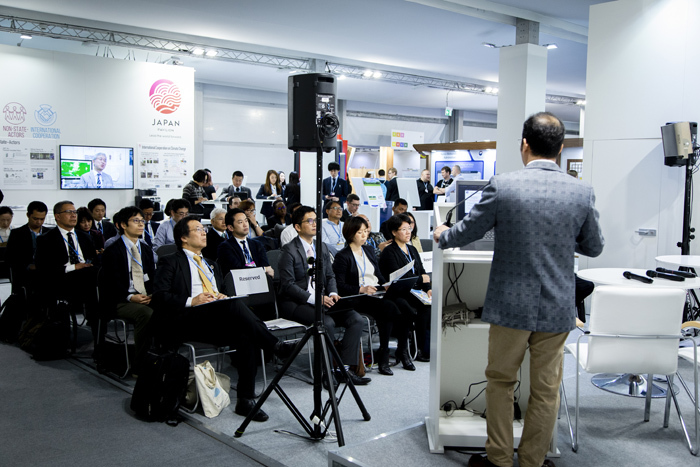 The electronic publications are available at the UNFCCC website. 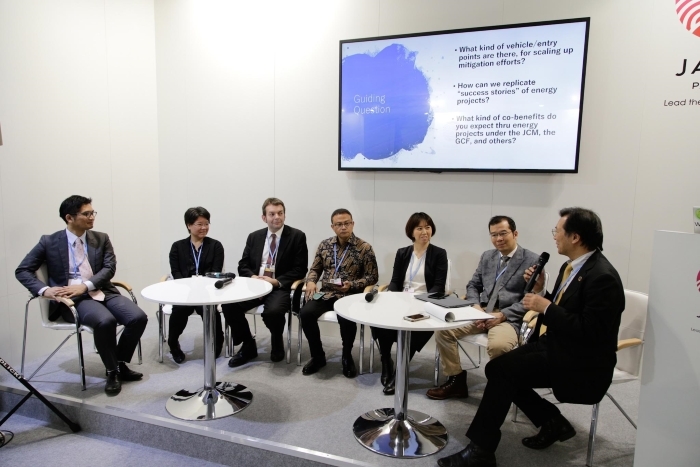 Responding to the need to showcase successful cases of upgrading replicable low‐carbon technologies the world over, this event featured good practices in Asian countries. The approaches leveraged on sustained investment and finance, triggered by the Joint Crediting Mechanism (JCM). Sustainable development is also important in the context of Article 6.2 of the Paris Agreement cooperative approaches, under which the JCM is articulated. How do we maximize multiple‐benefits in project design? Stories were shared key stakeholders of the JCM and the GCF. Panelists shared their prospects of energy-related efforts from now toward post-2020 period, including needs and gaps, and challenges and opportunities. By having recent experiences with the JCM project in the energy sector, participants discussed what are possible ways to maximize/scaling up benefits offered by the JCM in the context of NDC implementation. This side event aimed to exhibit and appraise various aspects of capacity-building support provided to developing countries in the area of climate finance. Panelists will share their prospects of energy-related efforts from now toward post-2020 period, including needs and gaps, and challenges and opportunities. By having recent experiences with the JCM project in the energy sector, participants will discuss what are possible ways to maximize/scaling up benefits offered by the JCM, the GCF and other schemes in the context of NDC implementation. Panelists: Presenters above will also join as panelists.